Those who can’t solve it are asked to change their profile pictures to an image of a giraffe and keep it that way for three days. 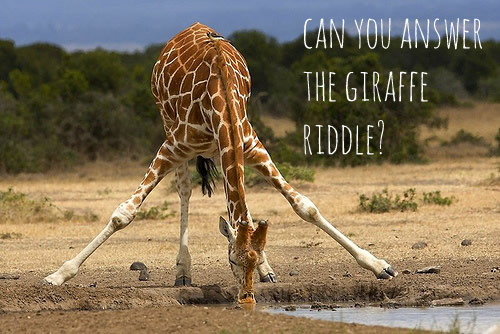 Feel free to try and answer the riddle and understand that it’s not really a hoax and it’s safe to change your profile picture to a giraffe. Now when you see all of your friends facebook profile pictures changed to giraffes you know why.